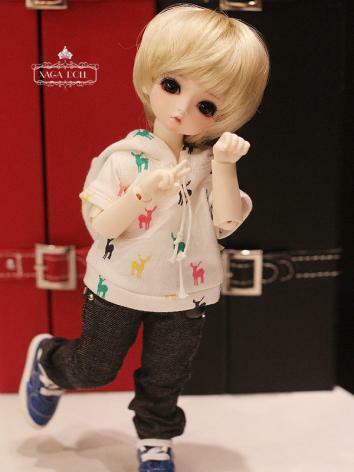 This doll is defaulted to come with A type hands, please add Special hands to your order if you want B/C/D type hands. 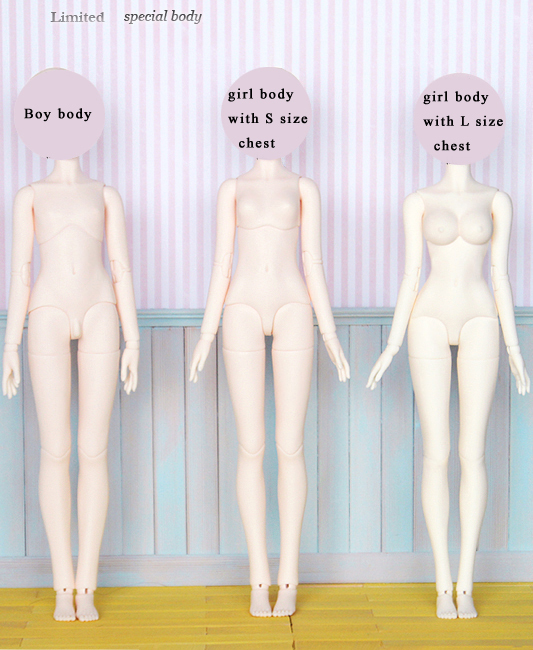 2.Girl body breast has 2 types. Please choose one which you like. 4.The clothing, shoes, wigs and accessaries in the picture cannot be sold. 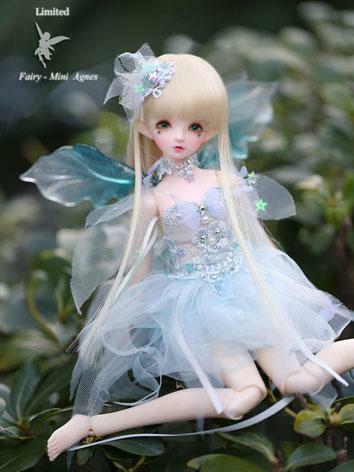 5.If you select the face-up, we will fixed the eyes and the eyelash in the head. 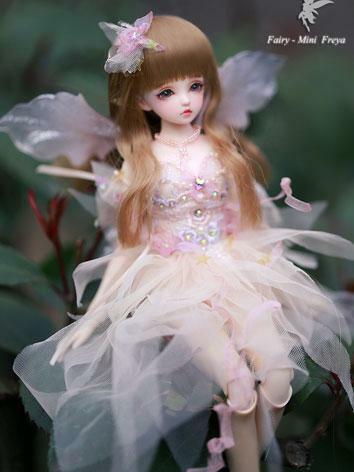 6.The doll will be carefully assembled and nicely polished before shipping. 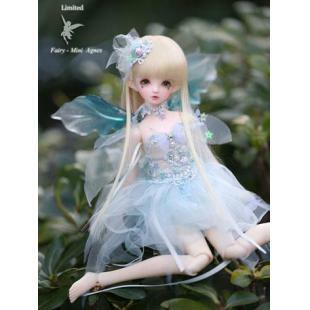 7.Please reach an understanding that shipment may be delayed for manufacturer reasons. Hello, if I order her with special hands, will I get her normal hands and the special hands? 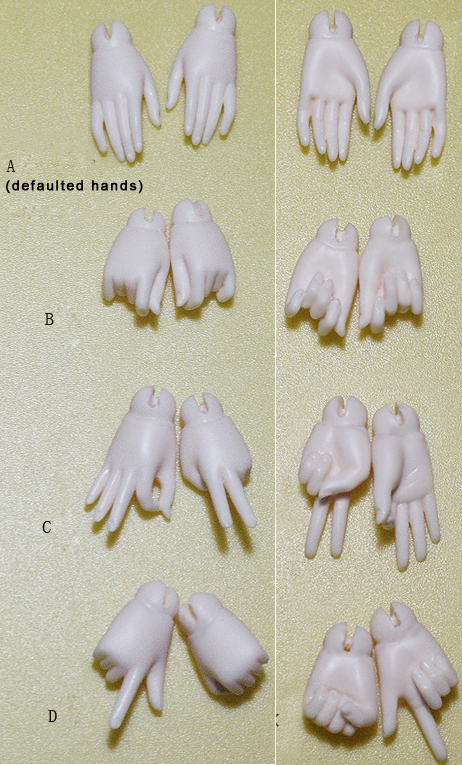 Yes, the special hands will come with normal hands together.